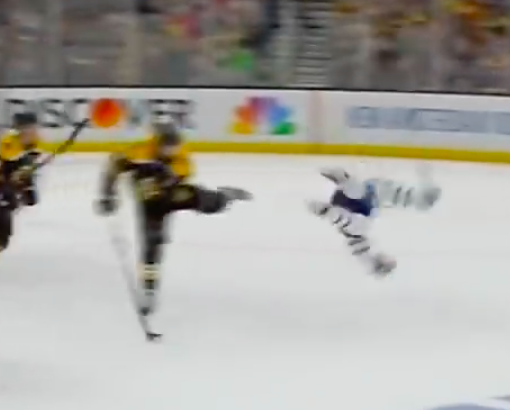 There’s a lot of chatter about Nazem Kadri’s retaliatory cross-check on Jake DeBrusk, an ill-advised moment to be sure. 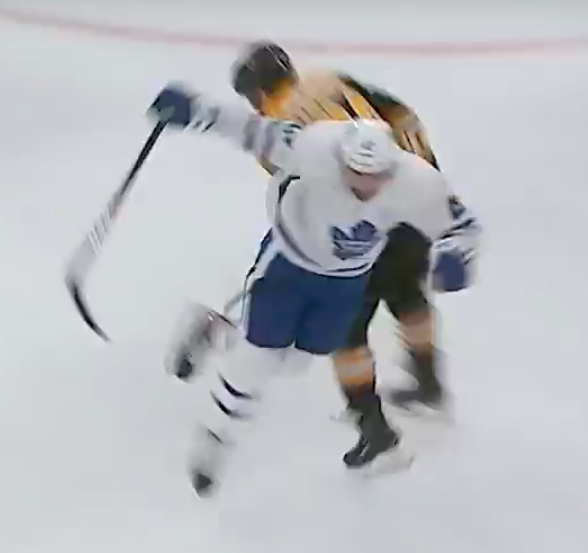 But let’s be clear on this – DeBrusk never should have been on the ice at that point, given his deliberate knee-on-knee hit against Kadri the previous period. That is a five-minute major, game and suspension right there, yes? Straight from the NHL rules handbook. So what about it, ref? Nope. No call at all. According to Morgan Riley, the ref said Kadri “jumped in the air”. 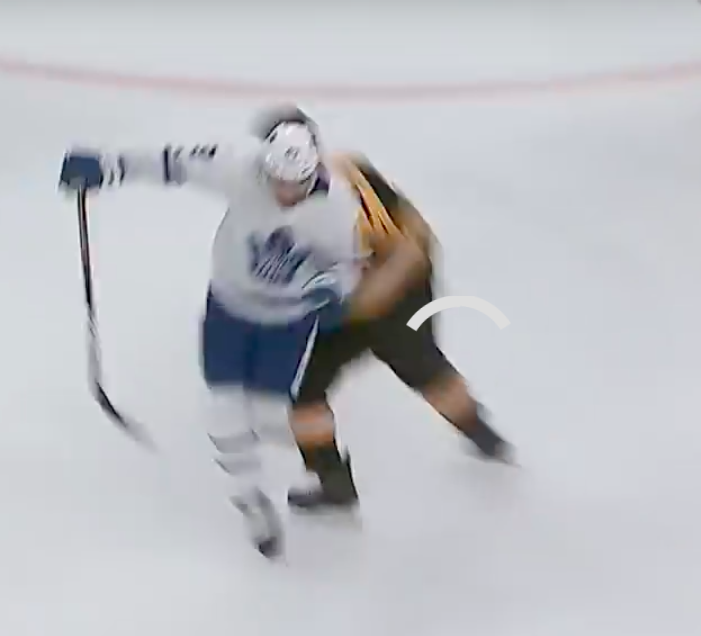 Or more laughably, Bruins Bruce Cassidy stated flatly, “The hit was shoulder to shoulder.It’s Kadri’s prerogative to stay down.” Let’s look at those images again. As much as I’d like to meet Cassidy halfway, feel his heartbeat, hug his pillow and all, but he’s as close to the truth as Albuquerque on that one. 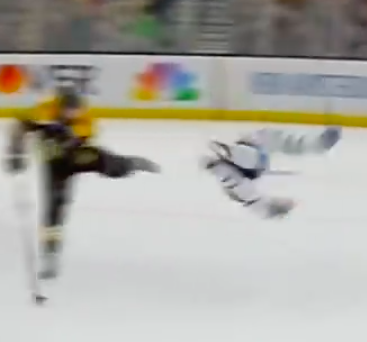 The Bruins brand of hockey is an embarrassment to the league as is DeBrusk’s knee-on-knee hit, as are Cassidy’s passively unpleasant comments as are Boston’s ‘energetic’ fans.